Round Pens, Horse Shelters, Mare Motels, & Loafing Sheds. Mare Motels and Loafing Sheds with the same maintenance-free durability as our barns. Solid walls make the safest Round pens. Just like our barns, these round pens are kick-proof, chew-proof and low maintenance, offering a safe environment for training or turnout. 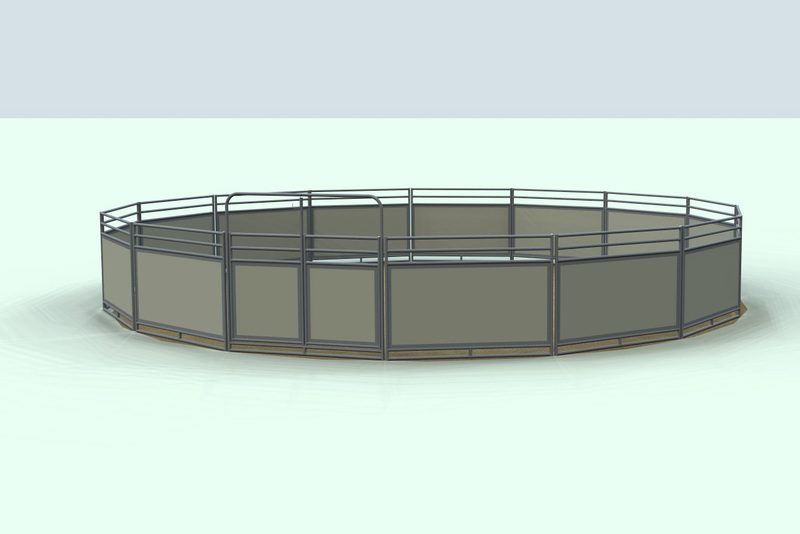 And now, you can even order your MDBarnmaster round pen under cover, with a beautiful octagonal roof that offers rain and sun protection for year-round daily usability regardless of weather. 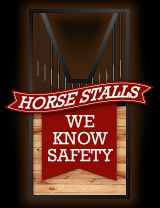 A safe and natural way to shield your horses from mild weather conditions. 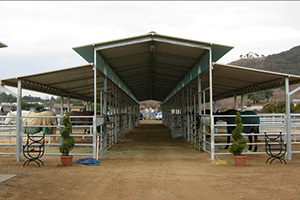 Perfect for mild climates, our MDBarnmaster Breezeway Shelters and Mare Motels are an economical choice for providing your horse with a safe, comfortable escape from the elements. Economic horse housing with the same quality you expect from MDBarnmaster. Loafing sheds or Run-ins are an easy way to protect your livestock from the natural elements in the pasture. 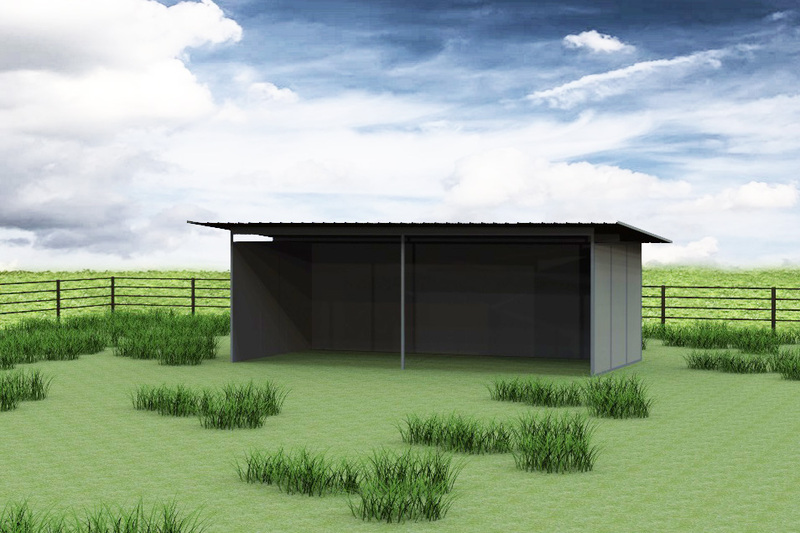 Loafing Sheds are built with our chew-proof, kick-proof wall system, and are available with either a gable or single slope roof profile. Check out the layouts in our barn plan catalog.